If you live in Orange County, Tanaka farms has to be your stop during Halloween. We go every year to check out the pettng zoo, ride the wagons and take pictures. They have a petting zoo and a whole huge patch where you can pick your own pumpkin (although my kids never get to do that, it's too expensive ... they get to pick any pumpkin they want at Walmart). The petting zoo is stocked with animals (if you go to early in the season they will not have as many animals). You can see the animals from the outside of the fence (we brought Avery inside last year and she was too scared to even move.) I think its only three dollars to get inside the petting zoo (comes with a small cup of food to feed the animals). Wagon rides are 5 dollars per person and it takes you through a tour of the farm. My kids really enjoy the wagon ride. I love taking pictures at Tanaka Farms, the lighting is so good and all the bright orange pumpkins make the perfect backdrop. 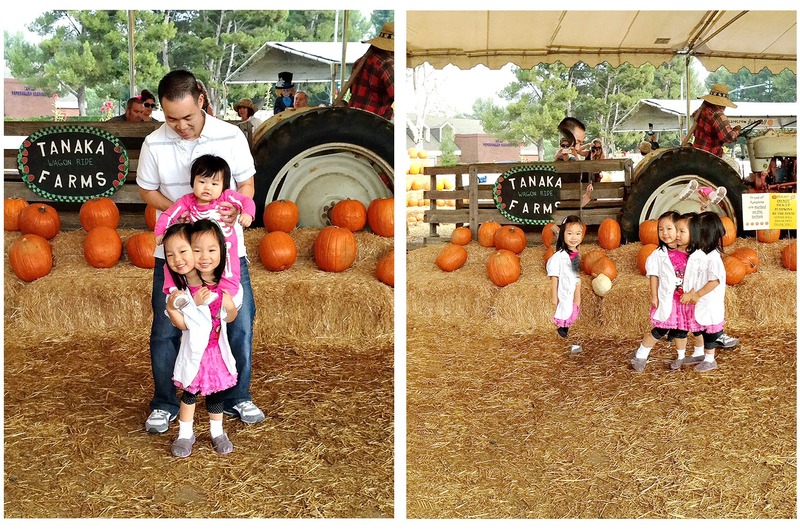 My cousin took some awesome panoramic pictures with her Iphone at the beach, so I decided to try to do the same at the pumpkin patch. She basically used the panoramic feature of her Iphone and ran to each new scene, creating a panoramic where she is in some of the frames. Seems easy enough right? See the picture below? First and last frame look good, but the middle frame I'm just a floating head. Kinda cool for Halloween I guess. Bodyless me because I moved too soon when we were panning through the frame. Two headed and a teleporting Avery. These were all accidents from trying to do the iphone pan, not photoshopped. This one turned out. The trick is that when you are panning you need to have the person in the entire frame. They cannot move until they are out of the frame. So you want to stop panning have them move and then start panning again. The more people you have in your panoramic the harder it becomes, especially with kids! If they keep moving, they can get distorted. This last picture is a 'who wore it better?' 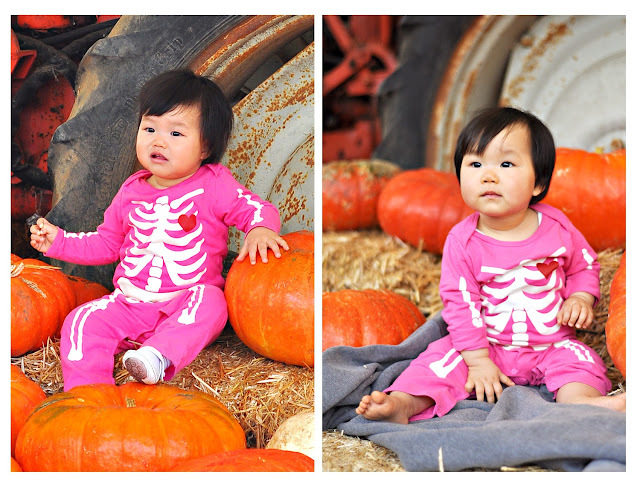 The left picture was just taken today, and the right picture is of Avery when she was one. Here are some steps and tips for how to take a panoramic picture with your Iphone IOS7 where the subject appears in mutiple frames/parts. 2. The person/people must stay still for the entire time they are in the frame of your camera. 3. Once they are out of the frame you hold your camera still and stop panning. Have them run to the next spot and again stay still. 4. Pan over to them again and have them stay still. The middle section is the hardest because you can't really tell when they have exited the frame so you will have to approximate. 5. Repeat steps 3 and 4 for as many frames as you want. a very good article in the afternoon, may be useful for us all. always waiting for the information provided by these sites, thanks. Excellent Blog! I would like to thank for the efforts you have made in writing this post. I am hoping the same best work from you in the future as well. Thanks for sharing. for More visit:- Furry Telegram Stickers & Stylish Facebook Names. SuperSu App is the best platform for rooting any type of application.